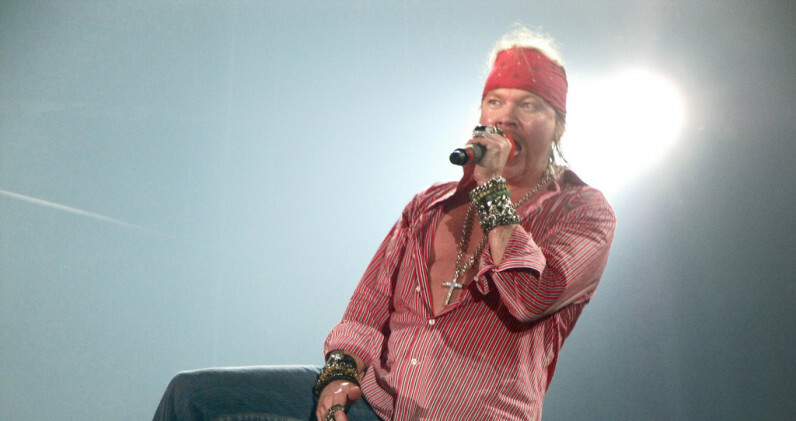 Guns n’ Roses frontman Axl Rose has filed DMCA requests to Google demanding that unflattering photos of him being fat-shamed in a meme be taken offline. When Google receives requests for content to be taken down, it sends them to the Lumen Database at Harvard University for publication. The database shows 11 requests on behalf of Rose filed since May 31. The photo in question was taken at a concert back in 2010, and was published in the Winnipeg Free Press here. It has since turned into a meme where users add slabs of Guns n’ Roses lyrics onto the image, with slight changes to poke fun at the singer’s weight gain through the years. There also requests for photos with titles like “axl-rose-balding-01.jpg” and “axl-rose+viejo.jpg” (old in Spanish). Mean-spirited? Sure, but as we’ve learned with Beyonce when she wanted her “unflattering” photos taken down, adding PR to the mix doesn’t make the photos go away – in fact, those who haven’t seen the pictures before are probably more likely to Google it. The only way celebrities get past embarrassing moments is to embrace and own it. This is the internet after all, so sorry to say: welcome to the jungle.